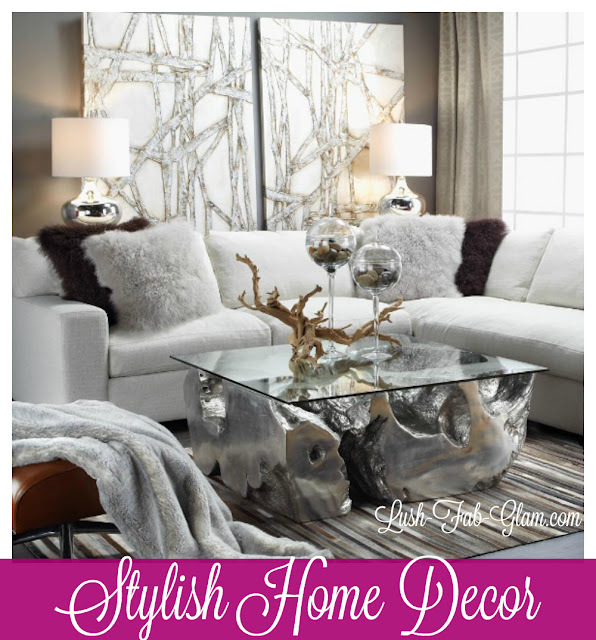 Lush Fab Glam Inspired Lifestyle For The Modern Woman: Home Decor Tips: Creating A Stylish Home. 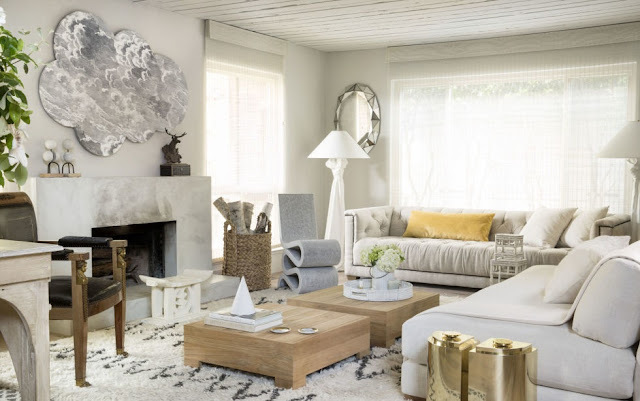 Home Decor Tips: Creating A Stylish Home. 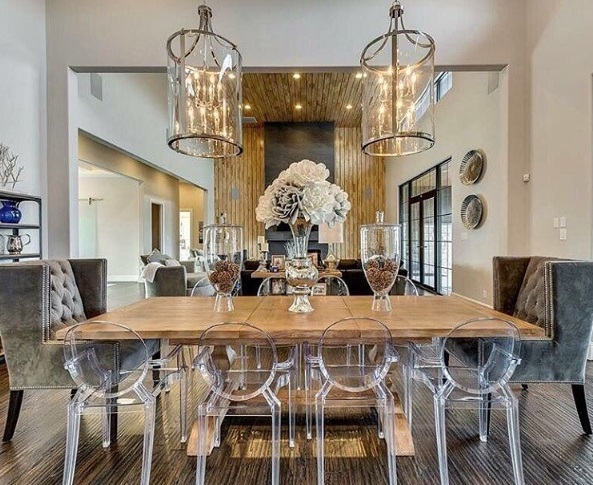 How you decorate your home is a reflection of your lifestyle, tastes, design style and aesthetic as well as the kind of personality you possess. Naturally, we all want our homes to look stylish and fabulous while keeping comfort and functionality in mind. Home décor can be beautiful and stylish by balancing the elements to achieve your design theme and add purpose to your space. Read on for tips to help you create a stylish home. It is important that the colors you choose do not make a harsh, clashing effect. It’s always more tasteful when you stick to colors that harmonize with one another. Don’t mix too many colors in a single room as doing so can create chaos, but don’t be scared to mix and match colors. There should be cohesion of colors. Though, sticking to one shade and playing it safe might result in a boring ambiance that does not satisfy your tastes. Add pops of color that accentuate your base colors. While the walls are for hanging art and other decorative stuff to attract attention, putting too much can just create the opposite effect. Leave some breathing space in between pieces so the focus can be on a few items that are worth talking about. Choose conversation starters for your walls like an elaborate mirror, art work or photos that compliment your home decor. Don’t get too excited when you see furniture items on sale and decide to buy everything you see. It is always better to invest in a few but good, quality pieces that can create a comfortable and relaxing atmosphere in your home. Kartell offers unique design furniture options which you can purchase through shopmohd. Depending on the floor size of your living room, for example, select a chaise lounge or a sofa that doesn’t crowd the space but provides enough seating area to accommodate people comfortably. If your family also includes children, you can keep the décor stylish and still achieve an environment ideal for the specific needs of the family members. Since children play almost all the time, it is important that you limit their play area. Perhaps fixing up a playroom just off the kitchen can help you minimize clutter while you keep an eye on them during play time. Place lots of storage furniture to keep toys in order. If space is a problem and the kids use the living room as a play area, then you can create a space on one side where they can play. Make use of rugs or carpets to protect the floor and to give them a comfortable space. Avoid making use of harsh lights that can ruin the soft effect you want to create in your home. In the bedrooms, you might want to place lights that can be adjusted for reading or for working. The rooms where you spend most of your time should have lighting that creates a highly functional space yet keeping the ambiance stylish. Make a stylish statement and set the mood with fabulous lighting. There is no need to fill up every nook and cranny with useless items that can just end up making a mess in your home. Place enough throw pillows with attractive designs or colors on your couch. Some vases and jars will go well on the mantel. A few items from your travels can go on shelves or walls. The important thing is to avoid disorder and create the impression of space, style and comfort. See more home décor inspiration here. Add the finish touches to your home decor with beautiful accessories like throw pillows. 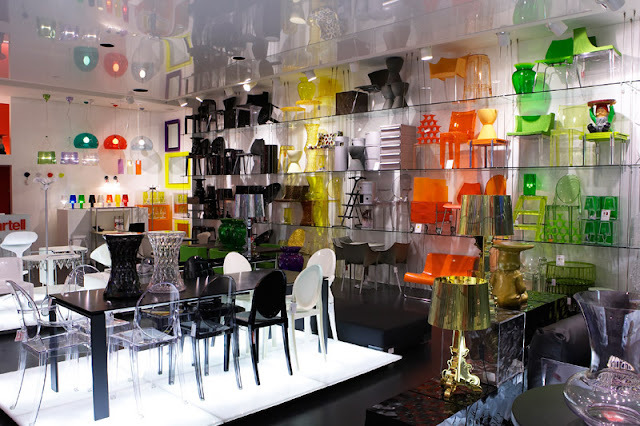 * This design and decor guest post is brought to you in collaboration with Hanna Johnson for Kartell. Which featured home design do you love and which home decor tips will you try? Share with us by leaving a comment below.